Choosing the right kind of material handling equipment is vital for boosting the productivity of your warehouse. 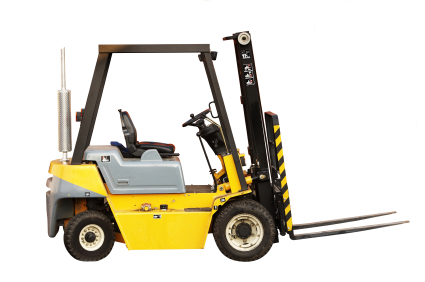 For heavy material handling, you will find various types of equipment depending on your needs. So, to increase productivity, save money, and improve efficiency, using the right tools is crucial. Determining the type of equipment you need depends on a lot of factors. For this it is important to first look at the materials you’re handling to find the best equipment for the job, like for bulk material, you need automation solutions or storage equipment. Therefore, choosing material handling equipment depends on whether you need storage equipment, bulk material equipment or automation solutions. Before you make any purchasing decision, read the following tips to choose the right material handling equipment. 1. Every material needs a different kind of handling technique and there is specific equipment to handle every kind of material. The first thing you need to consider is the type of materials being handled, like pallets, spools of materials, coils, tires, etc. You need to consider various factors, such as the sensitivity of the material, storage needs, and nature of goods. 2. Secondly, look at what functions you need the equipment to perform for you. There are basically three main functions which are served by material handling equipment. If your purpose is handling bulk materials, equipment like trucks, silos, elevators, drums, and conveyors can be used to handle bulk materials by the piece. For the purpose of storing material, choose between shelving, racks, pallets, and containers. Thirdly, to make movement and processing of materials quick and easier, it is best to invest in automated materials. 3. Next important consideration is the order picking method. You need to figure out what are your specific material handling needs. Do you need piece pick, case pick or pallet pick? For instance, in case of picking up pallets or cases, it is best to choose to reach trucks. On the other hand, order pickers are a better choice when materials need to be picked individually. 4. Another important factor for choosing the equipment is the space of your facility and the functions you need to perform. This includes the rack aisle width, rack type, and ceiling height. It is to be noted that if your operation space is narrow, the costs can go up. 5. The type of equipment required for the job also depends on the way you process your materials. This means, if your manufacturing processes require frequent moving parts, then you will need heavy-duty equipment, like filling drums, totes or other containers, conveyors with scales for weighing materials or high-speed processes for packaging materials. 6. With the advancement in automated technology, you can get all kinds of customization. An automated system makes different kinds of customizations possible according to your specific needs. The automated processes provide post-sale support and enable you to follow the product from start to finish. 7. It is also important to invest in material handling equipment which has easily available replacement parts, in case any repair is needed. Finally, to enhance the productivity of your warehouse, track maintenance costs for all your warehouse material handling equipment by using a software program.